The Ultimate Guide To Protein Powder - Reach Your Body Goals Today! If you haven’t noticed, there’s a huge buzz around protein powder and other protein products right now (and has been for some time). Celebrities, those looking to lose weight, bodybuilders, health conscious individuals, vegans, yoga instructors, stay-at-home moms, everyday people… the list of people using protein goes on and on. You can stroll down any grocery aisle or peruse online and you’ll come across countless items touting the use and benefits of protein. It comes in many forms including shakes, powders, bars, cookies, cereals, breads, pudding, oatmeal, pretzels, and even water. The food industry is making a mad dash to try and keep up with our ever-growing demand for protein-rich foods, drinks, and supplements. In particular, protein powder is the gold standard and preferred choice of those who use protein on a regular basis. It’s packed with readily available protein for your body to use. And, it’s quick, effective, and convenient, which is a necessity for our hectic lives. Not only is protein necessary for daily bodily functions, studies reveal that it does wonders for weight loss, toning up, and/or building muscle (depending on how it’s used). Some research even shows the potential for protein powder to help with inflammatory bowel disease, reducing inflammation, improving cognition, treating type 2 diabetes, enriching bone health, enhancing overall mood, and lowering blood pressure! Clearly, you don’t need to be Hulk Hogan to see some of the great health and body-changing benefits associated with adding protein powder to your daily routine. So, Where Should You Start If You Want to Start Using Protein? 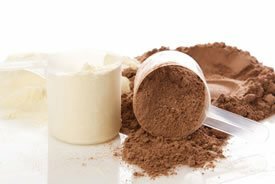 Honestly, the process of choosing a protein powder can be overwhelming, time consuming, expensive, and confusing. It’s hard to really know which one is perfect for you when every single product claims to be the best on the market. There are literally thousands of different protein powders to choose from, which can be overwhelming. 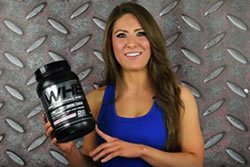 You get bombarded with weird terms like Branched Chain Amino Acids (BCAAs), Essential Amino Acids (EAAs), Ion Exchange Whey Protein Isolate (WPI), Whey Protein Concentrate (WPC), Biological Value (BV), and Hydrolyzed Whey Peptide (HWP). At some point you start to wonder if they’re just putting together random letters from the alphabet! The good news is, because of this site, you no longer need to worry. Our community of both men and women protein experts constantly buy all the different protein products out there (yes, we actually buy them!). We’ll tell you which ones we like and which ones we’d avoid. We’ll also tell you what’s in them, how much they cost, and the best uses for them whether your looking to lose weight, tone up, and/or build muscle. Our experts will help you take the guesswork out of decision-making by giving you everything you need to know to make an informed decision about the perfect protein powder for you. Let us do the work for you so you can spend less time, money, and energy searching and instead be on your way to seeing some positive results with just the right protein powder. Keep reading if you want to learn more about protein powders and how they work…or go straight to our list of the best protein powders. What Is Protein and Why is Everyone Using It? I’m sure you didn’t come here to get a drawn-out, jargon-filled lecture on protein and its entire chemical makeup. So I’ll spare you the mind-bending science and make it as straightforward as possible. Proteins are large, complex molecules that are made up of one or more long chains of amino acids. Amino acids are organic compounds that are the building blocks of protein. Hundreds of amino acids exist in the world, however humans only use 20 of them. On our own, we’re able to produce 11 of these amino acids. The remaining 9 are called “essential amino acids” and we must get these through food and supplements, such as protein powder. Protein powder itself comes in many forms and is made from sources such as milk, soy, eggs and even plants. Protein powder is an easy, effective way to get all of your essential (and non-essential) amino acids in one convenient place. If our bodies don’t have enough protein, then we’re unable to complete the structures that make up each cell, tissue, and organ. We also wouldn’t be able to make the substances necessary for muscle contraction, growth, healing, and cardiovascular function. Now you can see why protein is so popular among such a wide variety of people from every walk of life! Can Protein Powder Help Me Lose Weight? Protein powder isn’t normally associated with weight loss in most people’s minds (especially women). Many are worried if they start supplementing with protein powder, they’ll bulk up and look like a bodybuilder. When used correctly, protein powder will not automatically turn you into the Incredible Hulk (although it can help if that’s your goal). One of protein’s main benefits is it helps build muscle. And we all know that muscle burns calories at twice the rate of fat. So more muscle equals more fat-burning (and not just when you’re working out). That’s 24 hours of increased metabolism just by adding some muscle. Now, if you take tons of protein and work out like a madman, then yes, you will bulk up and start to get huge. But that takes a ton of hard work and an extended period of time. It doesn’t just happen overnight. If your goal is weight loss and toning up, protein can be one of the most important weapons in your arsenal. Numerous studies have shown that protein and exercise can be one of the best ways to lose weight. In non-scientific lingo, he’s saying protein aids in weight loss because it burns the most calories after you eat it. As we said earlier, boosting the body’s metabolism helps you burn additional calories, which in turn leads to weight loss. And if you’re still not convinced that protein aids in weight loss, another research study published in the Nutrition & Metabolism journal showed that obese men and women who had 2 protein powder shakes per day and had a low-calorie meal plan, lost significantly more fat than the subjects who only followed a low-calorie diet. The protein powder group also lost less lean muscle mass than the low-calorie diet group. All these studies show that people consuming a higher-protein diet have increased thermogenesis, which burns calories and causes weight loss. If you’re still not convinced, check out this article on using protein powder for weight loss. OK, But Can Protein Be Used For Bulking Up? While protein powder can help you lose weight, it can also help you put on muscle and bulk up. Obviously, if you want to get big, you need to take A LOT of protein. Muscle hypertrophy is just a fancy way of saying an increase in muscle size aka bulking up. The same study also reveals that supplementing with protein powder lead to accelerated gains in anaerobic and aerobic power. More research published in the Journal of the International Society of Sports Nutrition showed that supplementing with 25 grams of protein powder twice a day promoted significantly greater muscle thickness compared to the placebo group. Keep in mind that protein powder exhibits the greatest results for muscle growth when paired with strength training. And especially when taken right after working out, because it can begin to heal the micro tears within the muscle. “Micro tears” are extremely small tears in the muscle fibers caused by intense contraction that’s exhibited when working out. The tears are then repaired and are better equipped to handle the same contraction, which is the cause of muscle growth/bulk. So if you want to build muscle and bulk up, you need lots of protein, lots of food and lots of resistance training! What Are The Best Protein Powders For 2019? By now you know how important protein is to achieve your personal body goals. But like we mentioned, the number of different protein powders on the market is mind boggling and their primary goal is to get you to BUY, regardless if it’s the best fit for you or not. On top of that, the FDA does not regulate protein powders and supplements, making the decision even more confusing and challenging. Every year our experts compile a thorough ranking and review of the absolute best protein powders currently available. In order to find them, we actually go out and buy every protein powder that we can get our hands on. We scour the Internet, health food stores, grocery stores, you name it, to find and buy every sort of protein powder there is. We scrutinize every last detail including what type(s) of protein are used, grams of protein, price/value, potential allergens, nutritional breakdown, amino acid profile, and best uses for that particular brand. Once we’ve analyzed those areas, we have testers (both men and women) who actually take the protein powder themselves. Yep that’s right! We test every product on ourselves to give the most thorough and honest ranking and review possible. Once we’ve taken the protein powder, we’ll note how easy it is to use, how it tastes, any noticeable side effects, how we feel, and our personal results. After that, we make our final decision on the overall rating of the protein powder. We then compare each of the protein powders thoroughly and the best of the best make it to our top 10 list. 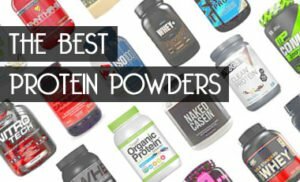 Click here if you’d like to see our current list of the 10 best protein powders. 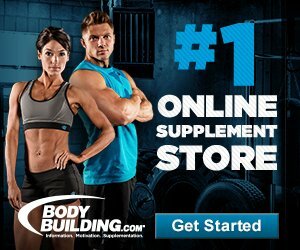 How Exactly Should I Use Protein Powder To Reach My Goals? Protein powder can be used in numerous ways depending on your personal goals and your gender. General daily recommended protein requirements are about 56 grams of protein per day for adult men and about 46 grams of protein per day for adult women. First off, your protein powder can be used as a meal replacement. This helps lower calories, fat, and carbohydrates, while keeping you fuller for longer. You can also add additional fruits, healthy fats, or vegetables to your protein powder to make a ‘super shake’, so to speak. Women typically require less protein per pound of bodyweight, mainly because of the differences in overall body composition. Also, if weight loss is the goal, it’s important to use either whey or casein, which are the 2 primary proteins found in milk. The Journal of Nutrition published a study where individuals who took whey or casein protein powder showed greater weight loss compared to those who took other types of protein such as soy. These results were even found when the individuals didn’t change their diet otherwise. In our view, the best way to lose weight for most people is to combine a lower-calorie diet with protein supplementation, and then exercise regularly. On the other hand, if your goal is to bulk up, then the timing of when you take your protein powder becomes an important step (as well as upping your overall protein intake). According to a study published in the journal Metabolism, supplementing with protein powder post-workout was shown to help individuals recover after a strenuous workout and also increase muscle growth and strength gains. So those trying to bulk up should take their protein powder after working out. Other studies show it may also be beneficial to muscle growth to take protein powder before working out and also right before bed. The type of training and amount you want to bulk up will also dictate how much protein is recommended for you on a daily basis. The average adult needs about 0.8 grams of protein per 2.2 lbs. For strength training adults, they need about 1.4 – 1.8 grams of protein per 2.2 lbs. Those who are endurance athletes will need about 1.2 – 1.4 grams of protein per 2.2 lbs. Regardless of your goal, you want to make sure you’re getting the recommended daily amount of protein through foods and protein powder. 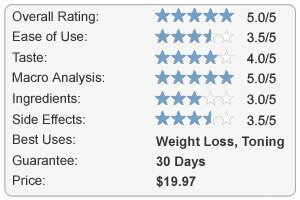 For a complete list of every protein powder we’ve tried, check out our protein powder reviews. Should I Use A Protein Powder Or Just Eat Protein-Rich Foods? Although we focus mainly on the powder/supplement forms of protein, protein-rich foods definitely play a vital role for health and your specific goals. Diet, fitness, and overall well-being require balance, variation, and moderation. We talked earlier about how some amino acids are essential, meaning we must get them from foods or supplements. However, foods all contain a varying degree of amino acids, so it’s important to get a variety of foods and supplements to reach our daily-recommended intake. Overall, animal based proteins such as meat, eggs, and dairy contain all 9 essential amino acids. Foods from plant-based proteins like beans, soy, nuts, and grains are plentiful in some amino acids but lack others. There are several reasons why you should supplement with protein powders and not just rely solely on protein rich foods. Protein powder, more often than not, contains all of your essential amino acids. This takes the guesswork out of making sure you get all of your amino acids. We all live hectic lifestyles that don’t always allow us the luxury of meal prepping or having home cooked meals, full of amino acids and protein, throughout the day. Protein powder is quick, easy, and doesn’t require refrigeration or any additional ingredients other than your choice of liquid (water, milk, almond milk, etc.). Since it’s not a solid food, protein powder is absorbed much faster and is ideal for the protein requirements for post-workouts. Protein powder is also effectively suited for optimal digestion and better overall absorption. On top of all that, you save a ton of calories, fat, and carbohydrates if you get some of your daily protein requirements from protein powder instead of food. Now knowing how important protein is, we want to make sure we get the adequate amount each and every day and protein powder is a fantastic way of doing that. For more on what foods to get your protein from, check out our article of on the 7 best sources of protein. How Do I Keep Up On All The Latest Protein Products and Reviews? Protein is an effective and science driven way to help you reach your goals, whether it’s weight loss, toning up, or bulking up. It’s also very exciting to see other potential health benefits such as reducing inflammation, lowering blood pressure, soothing inflammatory bowel disease, possibly treating type 2 diabetes, and much more! Research is ongoing and new studies will be released about protein and how it can help people reach their body and health goals. Demand for protein powders continues to surge and with that will come even more products on the market (adding to the thousands that are already available). With all these new protein products and research, it’s important to stay on top of everything and be informed. And that’s exactly what we’re going to do for you here! Our protein experts’ will continually test and review all the latest and greatest when it comes to protein supplementation. We’ll also let you know about any meaningful or useful happenings in the wonderful world of protein powders. All you have to do is check out our website once in a while, and follow us on social media. We look forward to helping you get the body you want and deserve!